Photo credit: Richard Duvall Images. Every August Washington’s finest wines take center stage for three days of celebration, which brings together wine makers and wine enthusiasts alike. 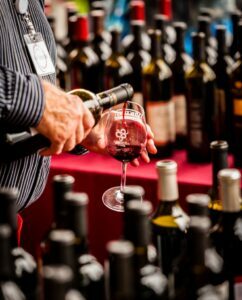 Known as the region’s most prestigious and largest charity wine event, the 27th Annual Auction of Washington Wines weekend takes place Thursday, August 14 through Saturday, August 16, benefitting uncompensated care at Seattle Children’s Hospital and Viticulture and Enology Research at Washington State University. The weekend kicks off next Thursday with the Picnic & Barrel Auction, located on the beautiful lawn of Chateau Ste. Michelle Winery in Woodinville. More than 60 Washington winemakers will be on hand to pour tastings paired with delicious bites by the talented chefs from Tulalip Resort Casino. No picnic is complete without lawn games – which include a wine bottle ring toss, among others. Guests will also enjoy bidding on some of Washington’s most coveted limited-release wines during the Barrel Auction. This year’s auction will feature a “Pop Up Barrel Room” with 22 exceptional wineries pouring samples of future releases. Attendees also have the rare opportunity to buy the wines before they’re released and taste what could be the next award-winning wine. For example, last year five attendees won the bidding on cases of 2011 L’Ecole Ferguson Vineyard which just won Decanter’s International Award for best Bordeaux Blend in the world. This blend is sold out and no longer available for purchase, but Picnic & Barrel Auction guests received some of the first cases of this award-winning wine. Tickets for the Picnic & Barrel Auction cost $125 per person and are still available for purchase at www.auctionofwashingtonwines.org. Those looking for more of an intimate experience can take part in the Winemaker Dinner Series, held at private estates throughout the Puget Sound Friday, August 15. Patrons can experience the company of Washington winemakers whose wines are paired exquisitely with a gourmet meal created by some of the region’s renowned chefs. Seating at these dinners is limited. Tickets are $250 per person and are available at www.auctionofwashingtonwines.org. In between the weekend of wining and dining, get your blood pumping with a run through Washington wine country. The 8th Annual Columbia Winery Charity 10K Run and 5K Run & Walk welcomes participants to join 1,400 other runners and walkers at 8:30 a.m. at Columbia Winery in Woodinville. For more information visit www.runforchildrens.org. The weekend closes with the 27th Annual Wine Gala, held on the grounds of Chateau Ste. Michelle. Guests will enjoy a six-course meal prepared by some of the area’s finest chefs. Each table will be hosted by a Washington State winemaker who will pair and pour wines from their collection. Entertainment will include nationally renowned auctioneers Ursula Hermacinski and Fritz Hatton and performances by composer, director and performer Rich Gray, plus live and silent auctions. Seating at the Wine Gala is limited. Tickets are $500 per person and are available at www.auctionofwashingtonwines.org. 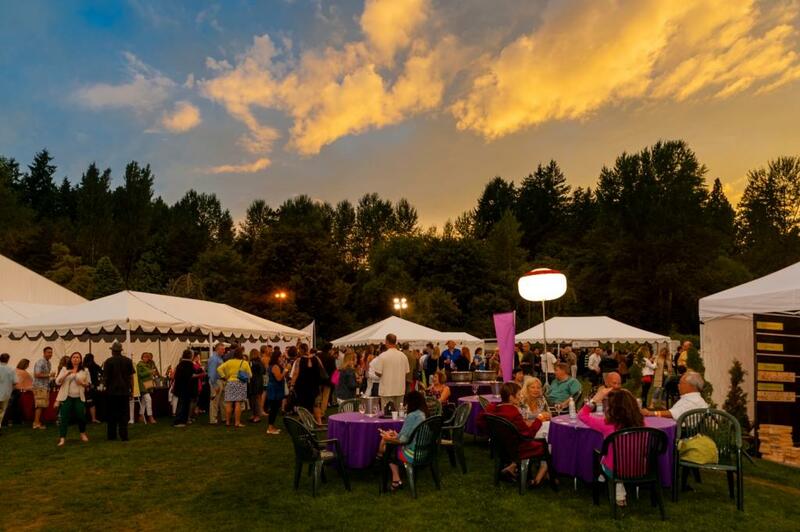 For more information on the weekend of events, “like” Auction of Washington Wines on Facebook and follow them on Twitter @AuctionWAWines and #AWW14.